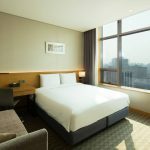 Feel at home on your Seoul holiday. 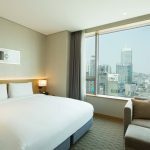 SOTETSU HOTELS THE SPLAISIR SEOUL DONGDAEMUN is perfect for the business or leisure travelers. 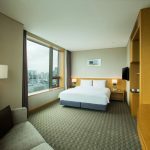 All rooms feature a high-quality Simmons bed,guaranteed to give you the best sleep possible. Enjoy a generous work area while connected to free Wi-Fi. All rooms are non-smoking.